Casio Mens G-Force Military Watch | BUDK.com - Knives & Swords At The Lowest Prices! 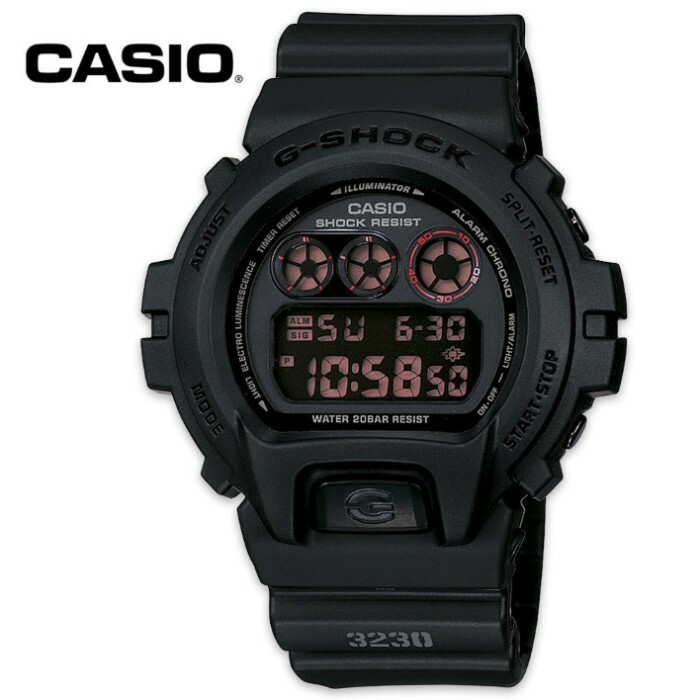 Keep perfect time with this G-Force Military Watch! This watch delivers a fully auto electroluminescent backlight feature with afterglow, a 1/1000-second stopwatch and all the quality you've come to expect from Casio. The comfort-fit band and oversized case only add to its versatility. Best of all, it's shock resistant and water resistant to 200 meters. You can't beat the value that's packed into this Casio wristwatch. It's the perfect watch for sportsmen, outdoorsmen and fishermen.